FFA - Boy Scouts agree to wait until annual meeting on May 22-24 to decide on policy after homosexual activists reject compromise. If the Boy Scouts of America allows local councils to decide this issue then homosexual activists will move their political and legal battle to hundreds of scouting councils and troops across America. Boy Scouts agree to wait until annual meeting in May to decide on policy. News Report: Boy Scouts Delay Decision on Admitting Gays. The Boy Scouts of America executive board decided to wait until the annual meeting on May 22-24 to make any decision regarding the restriction on homosexuals. No policy change is good even if it is for three months. Status quo of keeping the Boy Scouts distinguished Timeless Values for at least another three months is a temporary win. This was an argument that few if any other groups had pointed out before the Boy Scouts considered a proposal that if adopted could give local councils the option on the restriction. Many of these church based Scout units would likely exit from the Boy Scouts of America program if faced with conflict and strifeful demands from activists to change their policy at the local level. February 1, 2013 article and email alert. Homosexual activists reject compromise and demand that all Boy Scout troops drop restrictions. 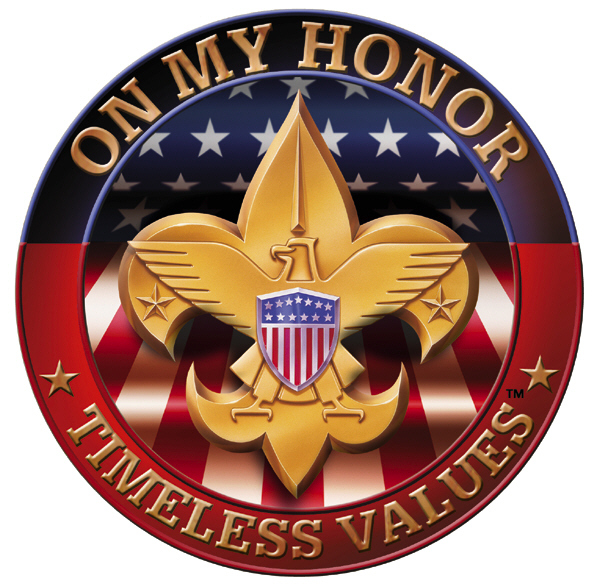 Click here to send your email titled Please don’t change the Boy Scouts of America distinguished Timeless Values to twelve Boy Scouts of America officials. The Human Rights Campaign (the largest homosexual activist group in America) confirmed Florida Family Association’s assertion reported in our January 31, 2013 email regarding acceptability of the proposed policy regarding homosexuals in the Boy Scouts. Homosexual activists are rejecting the Boy Scouts of America compromise proposal that would allow opposing councils to make the decision on this policy. It might sound like good news. But it's not good enough. Right now, the Boy Scouts of America is accepting public feedback on this decision before their big board meeting starts on Monday. It's our duty to let them know that discrimination in any local troop is unacceptable. Click here to read the entire Human Rights Campaign email alert. The Wall Street Journal reports “Scouts for Equality (a same gender affection advocacy group), said that 11 of the 300 local scouting councils in the U.S. publicly said they disagree with the national organization's policies on gay members.” As a result of this pressure and erosion of financial support, the Boy Scouts of America is considering what appears to be a compromising policy change that would allow 11 of their 300 local councils to make their own decision regarding participation by homosexuals. Homosexual activists have made it clear that they are not content with any troop keeping the restrictions. If the Boy Scouts of America allows local councils to decide this issue then homosexual activists will move their political and legal battle to hundreds of scouting councils and troops across America. Unfortunately, local councils and troops will no longer be assured of the protection afforded them from the national level by the United States Supreme Court ruling that upheld the Boy Scouts of America policy regarding homosexuals. This will especially hold true in the states and dozens of counties and cities across the country that have laws forbidding discrimination on the basis of sexual orientation and gender identity relating to public accommodations. Activist judges will make sure of that. Florida Family Association has prepared an email for you to send to encourage officials at the Boy Scouts of America to hold their ground and oppose changing their policy. Boy Scouts proposed policy change will only energize same gender romance activists to move battle to the local councils and troops where US Supreme Court ruling may not help. Click here to send your email to encourage Boy Scout officials not to change their TIMELESS VALUES. 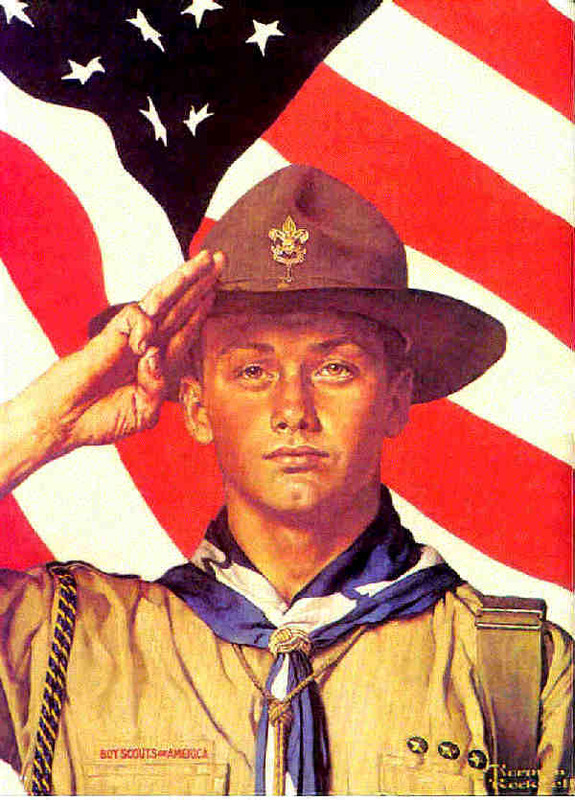 Since the Boy Scouts of America was established 103 years ago the organization has mentored over 110 million young men. Their oath is: On my honor I will do my best, To do my duty to God and my country and to obey the Scout Law; To help other people at all times; To keep myself physically strong, mentally awake, and morally straight. Several same gender romance activist groups have challenged the Boy Scouts of America to drop their policy that prohibits homosexuals from participating in scouting functions, often in remote camping grounds, with teenage boys. The cause of these same gender romance activist groups has been strengthened by corporate donors that have withdrawn their financial support from the Boy Scouts. In 2012, UPS, Merck and Intel said that they would no longer support the Boy Scouts because of the organizations discriminatory policy. As a result of this pressure and erosion of financial support, the Boy Scouts of America is considering what appears to be a compromising policy change that would allow 11 of their 300 local councils to make their own decision regarding participation by homosexuals. “Southern Baptist leaders – who consider homosexuality a sin – were furious about the possible change and said its approval might encourage Southern Baptist churches to support other boys' organizations instead of the BSA. The Southern Baptists are among the largest sponsors of Scout units, along with the Roman Catholic, Mormon and United Methodist churches” according to Fox News. Many church sponsored scouting chapters are prepared to drop the Boy Scouts name from their scouting chapter. It appears that this compromise by the Boy Scouts of America is intended to allow the other 96.3% of their local councils to keep the restrictions while permitting the 3.7% of local councils to remove the restrictions. Is it possible that same gender romance activists are genuine in their pursuit of a compromise for only these 11 local councils? No, they will not stop there. In fact this proposed policy change will move the battle from the national level to cities and towns across the country. This compromise will only cause gender romance activists to see 289 new targets to which they will redirect their political energies. Worse yet, local councils and troops will no longer be assured of the protection afforded them from the national level by the United States Supreme Court ruling that upheld the Boy Scouts of America policy regarding homosexuals. This will especially hold true in the states and dozens of counties and cities across the country that have laws forbidding discrimination on the basis of sexual orientation and gender identity relating to public accommodations. Activist judges will make sure of that. The new policy being considered by the Boy Scouts of America will move the focus of same gender romance activists’ political and legal battle to hundreds of scouting councils and troops across America. It will create far more strife and at the local troop level than the national debate. The Boy Scouts proposed policy change will ultimately hurt far more than 11 councils currently interested in changing the policy.